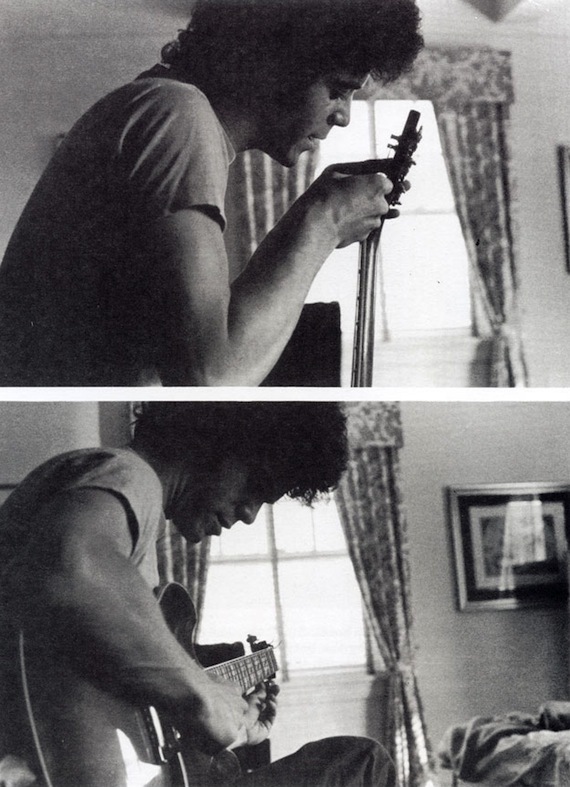 Twelve acoustic demos recorded in the Fall of 1970 following Lou Reed’s departure from the Velvet Underground. Concerning the set, A History of The Underground notes that while many of the tracks are similar to that of their officially released counterparts “a couple of the recordings are barely recognizable as the building blocks of the finished product. This recording serves as an important snapshot of an artist in transition.” Indeed. For Reed fans the collection is a fascinating listen as the set unearths nascent demos of material that would later populate the albums Berlin, Coney Island Baby, Sally Can’t Dance, Transformer and the oft neglected self-titled debut, Lou Reed. Also present are demo versions of tracks Reed fleshed out with the VU prior to his exit, though they themselves remained unreleased until the mid-80s. If the idea of this collection piques your interest in the least, you need to hear the whole thing. You’ll thank me later. Having said that, it’s the (still) unreleased “So In Love” that’s been in heavy rotation with it’s rough and repeated “shoobop-shoobops”. For further exposition, and a download of the set in its entirety, visit here. ‘so in love’ – yes. + 1. these are sublime. Rad. Thanks for sharing, this blog/website is dope! ‘So In Love’ is my new favorite. Thanks for sharing these!